When it comes to casino slots there is always something new and different that we can expect in every game and we always want these games to offer better winning chances. 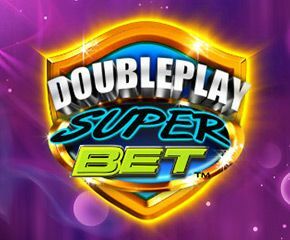 Doubleplay Superbet slots that offers double the chances of winning at every stage during every spin. This slots game has a colourful theme with animated abstract background and a cool techno music track to go with is truly a visual treat. The betting limit starts at £0.25 and goes up to £300 per spin depending on the gameplay settings you choose. There are three different double play levels each with a different animated abstract theme to suit your needs. The developer of Doubleplay Superbet slots is NextGen Gaming which is one of the top 10 casino game developers in the world that has many award winning slots their credit. They have developed hundreds of slot and other casino games for both mobile and desktop platforms. The slot game comprises of ten symbols that include a diamond, number 7, golden bell, silver star, a horseshoe, spade symbol, strawberry, lemon, cherry and a plum. The diamond is the top symbol offering 500 times your bet on its five appearances in the middle row. The Wild badge and the game logo are the bonus symbols of this slot. ● Superbet Levels: This is an option in Doubleplay Superbet slots available for the players to choose from and has three different levels to make your pick. Level 1 will enable the appearance of enhanced wilds only on reel 3, level 2 extends the feature to reels 2, 3 and 4, and finally the level 3 makes wilds active on all the reels. The bet amount changes according to the level you choose. 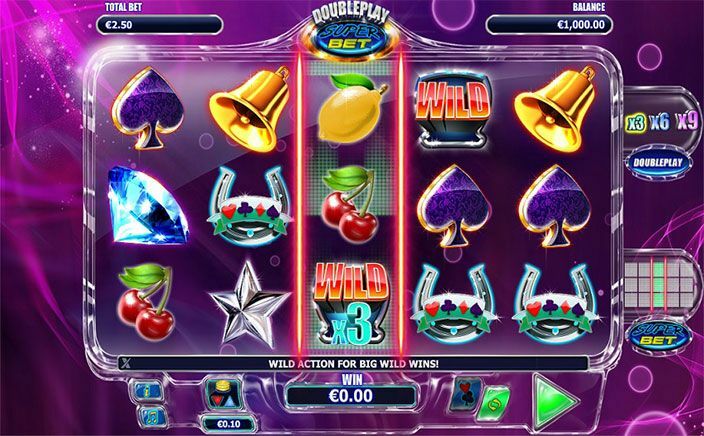 ● Doubleplay Levels: This feature is the wild multiplier and you can choose whether you want wild to multiply your win by 3 times, 6 times or a maximum of 9 times for a winning combination. Like the previous bonus feature, the bet amount changes according to the level you choose here too. ● Wild & Scatter: Wild substitutes for all the symbols except the scatter and you can win up to 500 times your bet when five of these appear on a payline. The game symbol is the scatter feature and offers 15 free spins on 3 or more appearances and awards 2500 times your bet on 5 scatters landing on the middle row. With different levels to choose from and enhanced wild feature during every spin that offers huge winning opportunities, Doubleplay Superbet slots is definitely one of a kind slot for serious gamblers.